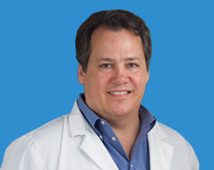 Dr. Robert Blaine, D.P.M., specializes in the diagnosis and treatment of foot and ankle disorders, including sports injuries. He received his Bachelors of Science in Biology and Chemistry from California State University, Bakersfield and then went on to graduate school for Biochemistry at UC Riverside. After a year of graduate school and research, Dr. Blaine attended the California College of Podiatric Medicine where he earned his Doctorate in Podiatric Medicine. He then completed his residency in foot and ankle surgery in Sacramento, followed by a Fellowship in Peripheral Vascular Disease at UCLA. In addition to maintaining a private practice for the past thirteen years, Dr. Blaine has been actively involved in teaching at numerous hospitals in Southern California. He has been the Foot and Ankle Surgical Residency Director at three different hospitals over the past ten years, and has lectured numerous times as a Clinical Instructor at USC Los Angeles County Medical Center Department of Podiatry (Orthopedic Division). Despite a congested schedule, Dr. Blaine finds time for research involving topical medicines, and presently holds international trademarks as well as patents pending for an antifungal cream for nails, a skin moisturizer for diabetics, and a gel to prevent radiation dermatitis during radiation cancer therapy. Dr. Blaine strives for a balanced life. He says that the values learned while growing up in a small town in Iowa have never left him. His devotion to his wife and four children is equaled by his commitment to contributing to society and to practicing medicine with an unparalleled integrity. He has personally experienced physical injury while playing sports and understands both the patient’s and the doctor’s perspective, and knows the importance of total care of the patient for rapid return to physically demanding activities.